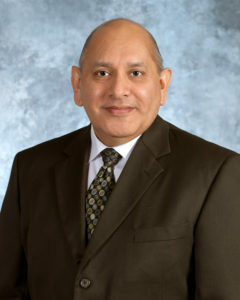 Oscar Mendoza has been selected as the new Deputy Executive Director of the Texas Department of Criminal Justice. Mendoza brings more than 37 years experience with the agency to the new position. He will assume the role August 1st. Mendoza, 56, joined the TDCJ in 1979 as a correctional officer. He has promoted through each level of security supervisory post to include serving as warden at five facilities, regional director, and deputy director for Management Operations within the Correctional Institutions Division. Mendoza has also served as director for the Administrative Review and Risk Management Division and currently serves as the director for the Private Facility Contract Monitoring/Oversight Division. In this position, he is responsible for the oversight and monitoring of contracts for privately operated secure facilities as well as community based facilities, which includes substance abuse treatment services. Mendoza has a Bachelor of Science and Master’s Degree in Criminal Justice. He will replace Bryan Collier who was named the incoming Executive Director earlier this year. Collier will assume the new role August 1st. The Texas Department of Criminal Justice has more than 38,000 employees and a total operating budget of more than $3 billion. 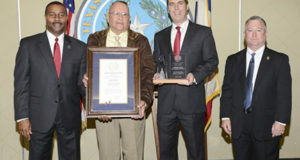 The agency is responsible for the care and custody of nearly 147,000 offenders, the supervision of more than 87,000 individuals released from prison on parole or mandatory supervision, as well as the broad oversight of adult probation departments that provide direct supervision to nearly 245,000 individuals on community supervision.